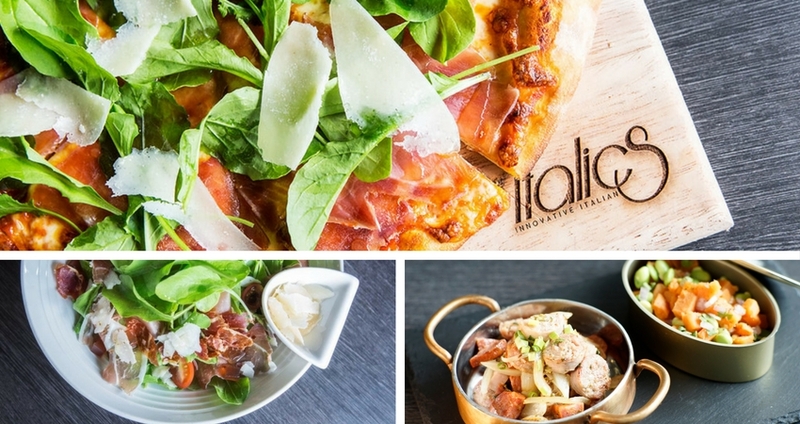 akyra Manor, the all-suite hotel in Chiang Mai is inviting guests to enjoy creative Thai and Italian fare at its popular restaurant, Italics, with a range of delicious dishes prepared using locally sourced ingredients. Taking advantage of the bounty of locally sourced meat, vegetables and fruit available in the area, akyra Manor Chiang Mai’s sophisticated Italics restaurant creates and transforms fresh ingredients into re-imagined high quality dishes. From organic cherry tomatoes bursting with sweetness to French cheeses made in Chiang Mai and 100% Thai Arabica coffee handpicked in the nearby hills, Italics' menu features a fusion of flavours while focusing on the freshest local produce. Italics diners can indulge in a perfectly prepared margarita pizza, or tantalise their taste buds with a Thai-inspired Chiang Mai Pizza topped with sour pork – the famous northern Thai sausage known as sai oua–and garnished with arugula and pickles, all the while knowing their meal has come straight from the farm to the fork. In addition to showcasing local suppliers in its menu, akyra Manor Chiang Mai is also dedicated to supporting the local community in Thailand’s northern capital, particularly through education to help future generations. Throughout 2017, the hotel will be working closely with nearby Panghai School, where the akyra team recently helped paint the kitchens and also provided much-needed utensils. The hotel team also regularly joins fundraising efforts to create a better learning environment for the pupils and even helps plant vegetables in the school’s organic garden. The Royal Thai Government is encouraging organic agriculture as a strategy to mitigate pollution caused by agriculture, but also as a value-addition strategy for farmers. In particular, the Royal Project Foundation has been set up to help replace opium and poppy cultivation with more profitable cash crops, particularly vegetables and fruit trees in a project initiated by the previous King. The Royal Project Foundation provides assured market and price to the project farmers for their produce. It is impossible to talk about agriculture in Thailand and not mention the Royal Projects. The first of these were started in the early 1970s with the goal of improving the living standards of hill tribe people in the North and wean them off opium cultivation. Temperate-climate fruits and vegetables were introduced as replacement crops. These as well as later projects have proved very successful both in eliminating opium growing and promoting new farming methods in the northern provinces of Chiang Mai, Chiang Rai, Lamphun and Mae Hong Son, all of which offer abundant opportunities for agro tourism. The Royal Project Foundation has four research stations and 34 development centres, which work to support farmers in selecting crops, improving farm management, and helping to preserve the environment. The Foundation helps farmers with marketing, packaging and processing. Products are marketed under Royal Project Foundation brand name and are available at supermarkets and at some farmers’ markets. The projects also stress the importance of providing education in remote areas in order to train farmers in the principles of highland agriculture and animal husbandry, and enable them to increase their earnings and become more self-sustainable.